the last one to visit. 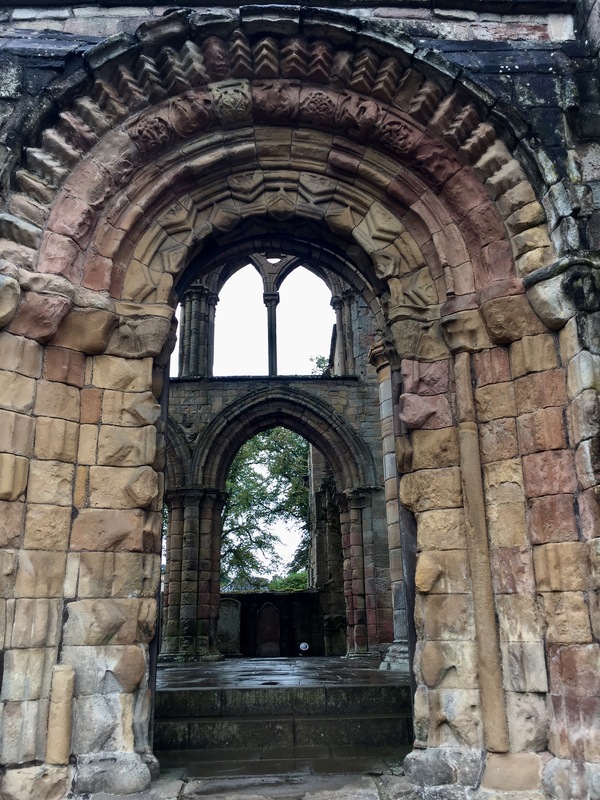 There are four abbeys clumped in small area of the Boarders – Melrose, Dryburgh, Jedburgh and Kelso. Didn’t get to Kelso, too busy trying to find Floors Castle! We will need to return – I would like to spend more time at all of them. This may have been my favorite. Jedburgh abbey overlooks the Jed Water. It was founded around 1138 by King David I and Bishop John of Glasgow, on a site that was most likely a Christian site since the 9th c. The canons here followed the rule of St. Augustine of Hippo (345-430). 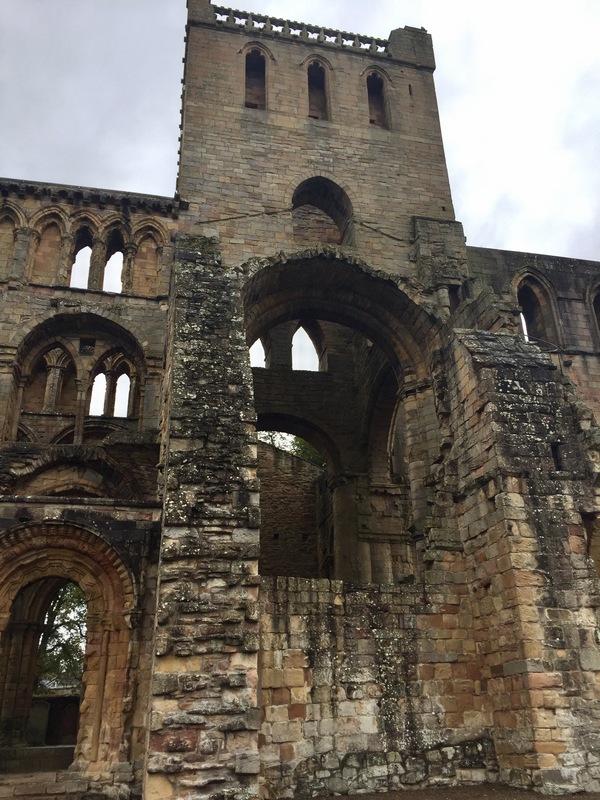 It is one of the most complete Abbey structures in Scotland, and took about 100 years to finish. Views of exterior. It was practically deserted when I visited, as was Dryburgh. Mickey stayed in car reading his book. 16 Sep	This entry was published on September 16, 2017 at 10:39 am and is filed under Uncategorized. Bookmark the permalink. Follow any comments here with the RSS feed for this post.